Google has released an update to the Google Play Newsstand app that brings a new and asked for feature to the news & magazine app: Automatic magazine subscription downloads. As one who uses this app having migrated from the Amazon Kindle app for my magazines, it is a very welcome feature which I frankly missed after moving over. The update is version 3.4.3 for those keeping score at home and it is available now in the Google Play Store and pretty much completes it as a news & magazine app in my opinion. I moved to it about two months ago full time and I’ve not looked back. I find the performance of the app to be outstanding. By default, Google Play Newsstand will not turn on the automatic download feature so you will have to enable it. This is done by going into Settings and selecting the “Auto-download magazines” option. When you select it, you will be prompted on which version you want to download (the lite or the print & lite version) as well as how many issues of that magazine you want to keep on your device. For me, I generally churn through my weekly magazines each week so I’m only having it keep the latest edition. In addition to this auto download feature, the Google Play Newsstand has the normal and mysterious performance improvements and bug fixes. What exactly is addressed in these fixes is not clear and in my using of the app this afternoon, I’ve not notice any substantial changes in performance. That said, even if you don’t want the auto download feature, it’s a good idea to get the latest-and-greatest version. 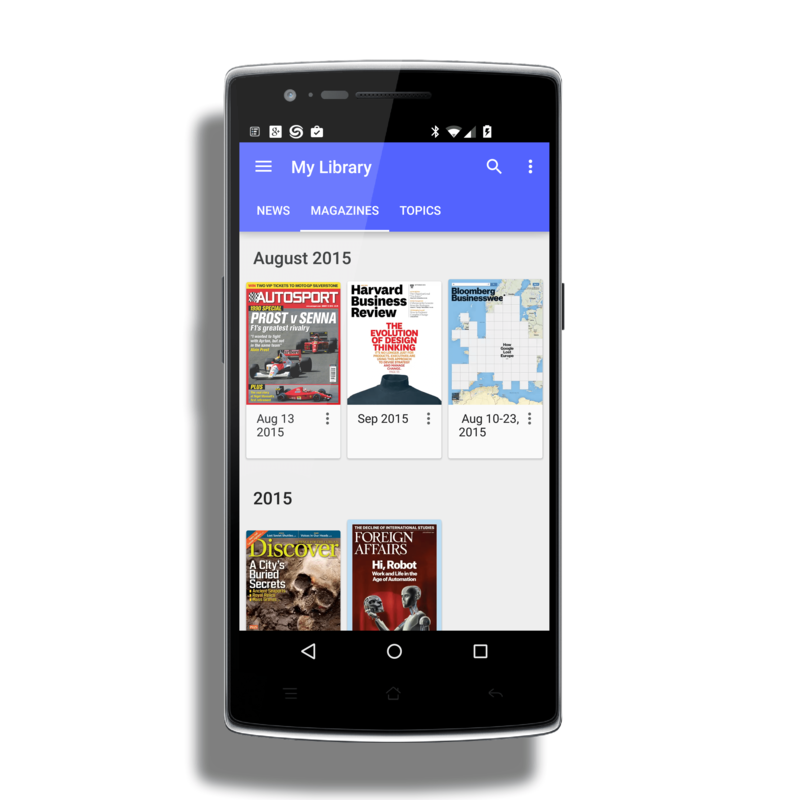 Google Play Newsstand is a free app and you can subscribe to free news sources and magazines (some with 30-day trials) through the app.